It's with no small amount of happiness and honor that I come bearing the news that I'm blogging for Papermoon. Their clothing line has fascinated me for a while now so I'm happy to be able to blog for them. The week otherwise has been slow. With the release of Pokemon GO, me, a nerd, has spent quite a while walking outside and catching myself some well deserved Pokemon. While I understand this may be a childish thing to do, I'm definitely getting my mileage on and walking everywhere. Way to go, Pokemon, you have made me leave my lair! 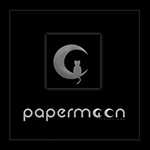 Special Thanks to my sponsor Papermoon!